With their ability to offer industry-specific skills and training, microcredentials offer a promising field for collaboration between academic institutions and employers. Changing employment opportunities and work requirements mean that lifelong learning has evolved into a fact of life for working adults across North America and beyond. Programming has adapted to this demographic’s need for just-in-time learning, and now credentialing is following suit. 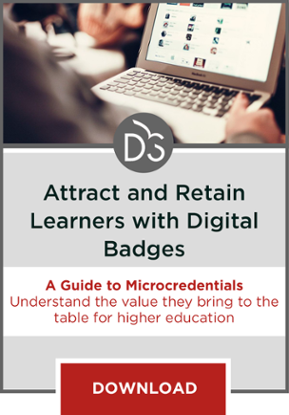 In this interview, Kathleen Radionoff and Mark Leuba discuss the future of microcredentials, and pinpoint how postsecondary institutions and corporations can leverage badging to suit the needs of non-traditional learners. 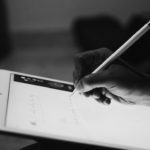 The EvoLLLution (Evo): Why are badges, and microcredentials more broadly, becoming such a significant part of the credentialing conversation today? Kathleen Radionoff (KR): Microcredentials recognize concrete, targeted skill sets acquired by both credit and non-credit students. Those skills, often pulled from a larger credential, are easier to obtain and to communicate, visually and digitally, to employers through microcredentials and badges. Mark Leuba (ML): The benefit that resonates most for me is the concept of microcredentials and badges supporting achievements prior to a degree being awarded. Changing employment opportunities and work requirements mean that adult learners are pursuing postsecondary and non-traditional education with a focus on improving their employability. 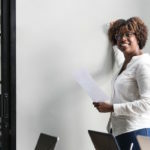 As a result, colleges, universities, and professional organizations are developing credentials that recognize learners’ achievements at less than a full degree level to illustrate that targeted skill set they need in the workforce. 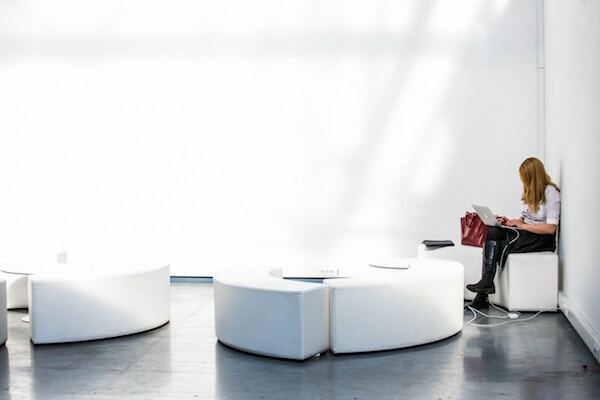 In many cases, these microcredentials are stackable—accumulated over time—and eventually lead to a degree, but their benefit lies in the fact that learners can be recognized for their effort along the way to their final degree. KR: Several studies show that the reason adult workers return to postsecondary is that they are responsible for maintaining or adding to their skill set in the workforce. Microcredentials work well in this environment, where a student doesn’t need a full degree but does need a skills upgrade. Incumbent adult workers who already hold a postsecondary degree credential also need to maintain or upgrade their skills and can do so by earning microcredentials. ML: Increasingly, non-traditional education—prior learning and experiential learning such as internships—are contributing to the microcredentialing conversation. Many programs award college credits for education received outside the traditional formal academy, including training and continuing education opportunities offered by employers to their employees. Microcredentials and digital badges are ways to recognize those achievements and skills. Evo: Should microcredentialing be a mechanism for making traditional, credit-bearing programming more accessible and flexible, or should it be designed predominantly as a means of recognizing non-credit learning? KR: The benefit of microcredentialing to traditional, credit-bearing programming is that learners can earn microcredentials as they work towards their degree so that if, for some reason, they have to drop out they can still leave the institution with something tangible to show their employers. 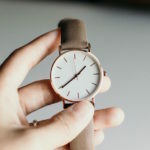 Previously, you either earned your degree or didn’t, and there wasn’t any recognition for anything you may have learned in between, so microcredentials provide great opportunities to have stackable pathways as students progress towards degrees. For non-credit students, positioning non-credit coursework as microcredentials adds an element of evaluative rigor that may not have been there previously. Evo: What are a few examples of badging programs being offered by institutions that really stand out to you? ML: Under Kathleen’s tutelage, Madison Technical College has become a recognized leader in Open Badges, so I want to acknowledge her work in this area. Wichita State University, which has a for-credit program of stackable microcredentials, was willing to make an early leap to badging in their public health program. Now, students can earn portions of a credit and build up to the equivalent of a three-credit course. Colorado Community College System is very highly regarded for how they’ve worked closely with employers to make sure that their curriculum is aligned with their needs, particularly in advanced manufacturing. Colorado stands out because employers in that region are actually hiring job candidates based on whether or not they hold those microcredentials from the Colorado Community College System. Additionally, Brigham Young University is creating a national coalition of seven universities to transform professional development for teachers, using microcredentialing as a central component of their program. In terms of non-formal education, LRNG, a program developed by Collective Shift, works to connect high-school students who may or may not go to college to learning and employment opportunities. They’re working with employers in a dozen cities to make sure that their learning plans are aligned with community needs, and they have helped more than 40,000 young adults find employment across the U.S. The Royal Melbourne Institute of Technology (RMIT) has taken a very comprehensive approach towards the use of digital microcredentials. They have 80,000 students and offer microcredentials across their entire curriculum, so that learners can achieve these credentials throughout the normal course of their college work. Finally, the University of Maryland system is also making a major commitment to digital microcredentials by implementing them across 14 campuses for employability and career-readiness skills based on research from the National Association of Colleges and Employers (NACE). Evo: What are some of the obstacles that still stand in the way of the broader proliferation of the credentialing movement? KR: Employer and general public awareness of badges is coming along, but not at the same proliferation rate of the badges themselves. This remains an obstacle: making employers see the value of job candidates who present microcredentials, and to understand the skills that those microcredentials represent. ML: I agree. Raising awareness with employers about the value of microcredentials is very important, and IMS Global Learning Consortium is actively engaged in this. With that said, every indication points to continued growth of microcredentials and open badges. Multinational corporations like IBM, Microsoft, Ernst & Young, Adidas and Amazon are making major commitments to microcredentials as part of their professional development programs, and are developing partnerships with educational institutions to leverage credentialing programs. For example, AT&T is working with the University of Central Oklahoma on the Student Transformative Learning Record (STLR), which is a skills-based credentialing program aimed at increasing student success. There’s a lot to be learned from these organizations and their work, so we have an ongoing healthy dialogue with business leaders on what the future holds. The Summit on Digital Credentials, hosted by IMS Global February 27-28, 2018 at Arizona State University will offer in-depth exploration of these and other successful programs. Evo: Is it possible to find common ground between the two categories that exist within badging, where you have formal and informal credentials being offered? ML: I refer to one category as “institutional recognition” badges, meaning they are more likely issued by a recognized authority, such as an employer or postsecondary institution. These are more likely to be accredited, and have a certain degree of rigor. The other category is “social recognition”, which are digital badges issued on a more peer-to-peer basis, such as by an individual or organization, which may be informed by third-party endorsements. As these badge issuers continue to develop high-quality programming their reputation and the social value of that microcredential will grow too. So, I believe there is room in the landscape for both formal and informal microcredentials. And because of the digital nature of these achievements, both institutional and social, we will have the analytics capability to provide feedback that providers viewers with information on the reputation of the issuer. Evo: Do you think it’s possible to create a broad understanding among employers of what value badges bring to the table, and how they can be used by prospective employees to market themselves or share their accomplishments? KR: It will be interesting to see whether employers find value in a peer-to-peer-endorsed badge, which is basically a take on what LinkedIn used to do, compared to a third-party verified, formal badge. The Open Recognition Alliance is trying to return to the original scope and vision that Mozilla had when they launched badges back in late 2010: peer-to-peer endorsed badges were part of the original vision, but it was the third-party badges that really took off. Not much work has been done yet in terms of the peer-to-peer badges, so it will be interesting to see how that develops. ML: When you encounter a person who holds a certificate from the Project Management Institute, you recognize the value in that certificate because you know what goes into earning an accreditation from PMI. By reputation, you would value a microcredential from PMI. There’s good reason to believe that as more of these badging programs are developed, the reputation of the issuing organization will begin to hold a lot of weight. Badges issued by organizations that already have high standards of rigor will likely be in high demand. Evo: As major employers build the capacity to credit and recognize learning competencies through badging, are we creating an even more competitive environment for colleges and universities? ML: There’s a lot of thinking around the idea that, in the future, the university doesn’t have to be monolithic: it can be deconstructed, but still very much present in a learner’s educational journey. In his book The Future of University Credentials, Sean Gallagher considers the future role of the university to be a guide and an advocate for the learner—that is, rather than envision themselves as the complete captive owners of all education delivery opportunities, universities and colleges would be responsible for supporting a learner’s education from a variety of sources, hopefully for a lifetime. In this vision, a learner could earn an accreditation from a third-party provider and do so in consultation with their university advisor, who would roll that third-party accreditation into a full, detailed digital transcript that is skills-based, portable, and verifiable. There still needs to be a central partner in a student’s education to guide them through their options, and the institution will continue to fill that role. Colleges and universities will always provide a large part of the learner’s education, but it doesn’t have to be exclusive. KR: One of the concerns Gallagher raises is that employers often feel that the training they need people to have may not be accessible through a traditional college degree. There could be very powerful collaborations between private sector employers and colleges in developing programming to meet those needs, all in ways that focus on the learner. Evo: What excites you the most about how far badging has come and where you expect it to go? 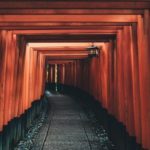 ML: I continue to be encouraged by the fact that what is best for the learner tends to make its way into the strategic plans of the institution, and microcredentialing is a perfect example of that—it’s a tool that addresses some specific realities of today’s employment and educational environments. Every institutional leader I’ve had the good fortune to speak with starts with the fact that they’re taking actions that center their learners’ best interests. That’s an attitude that will result in a very successful institution long term: Putting the learner first will be a beneficial by-product of making that institution successful in this changing sphere. KR: It’s exciting to see how badges have moved out of the realm of concept to experiment to pilot project to the mainstream. I got into badging when it was still a lab experiment, and I’m so pleased to see that they are being widely adopted by employers and institutions of higher education. Evo: Kathleen, you mentioned you’ve been in badging since the start. Did you expect to see it evolve to the state we see it in now? KR: When I first read about badges I saw the potential for documenting non-credit vocational training. There were technology challenges initially but there were a lot of talented individuals in the badging community who developed badging standards and protocols. I knew that badges would have tremendous value for many different learner segments, and that has certainly been proven true. While every indication points to their continued use, the future of microcredentials lies in making employers aware of their value. Microcredentials can provide academic institutions with the real-time feedback they need to better align program offerings with demand.